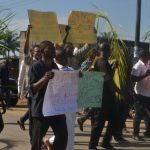 Youths of Osisioma in Osisioma Ngwa Local Government of Abia State, yesterday, protested over the pipeline explosion in the area that killed scores of people and injured several others at the weekend. 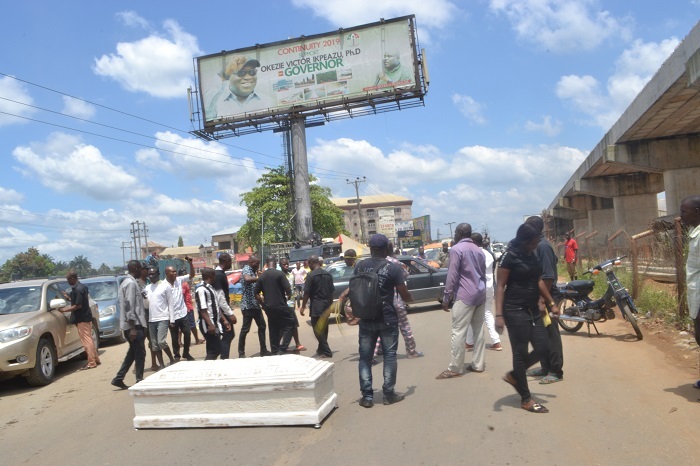 The youths barricaded the Enugu/Port Harcourt Expressway with a coffin allegedly containing the corpse of one of them, who was roasted during the inferno. 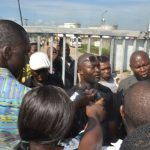 The youths, according to information, were angered the more over a statement allegedly credited to the Nigerian National Petroleum Corporation (NNPC), Aba Depot Manager, Joseph Dumaka, that the explosion was caused by vandals from the area and the rising number of deaths said to have exceeded 100. 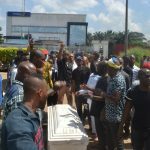 The youths carried placards some of which read: “Enough of these deaths caused by the carelessness of NNPC,” “NNPC wants to kill us all,” “The explosion was not as a result of vandalism,” “We have been made homeless and orphaned by NNPC,” among others. 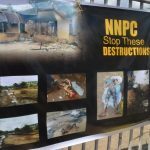 But for police presence at NNPC depot, the youths, who had waited at the main entrance into the facility for over three hours, said they had wanted to see the depot manager, to explain what he meant by vandalism being the cause of the explosion. 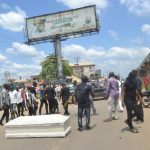 Speaking to newsmen, President of Osisioma Ngwa Youth Congress, Emma Nduagu, said: “What happened is not any form of vandalism. It is a serious act of carelessness on the part of NNPC. It’s painful to hear the depot manager go on air to accuse us of vandalism. 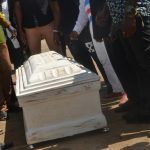 As the depot manager could not come out to address them, the infuriated youths dropped the casket containing the corpse of one of them and broke eggs at the NNPC’s depot main gate. Meanwhile, 24 people have been confirmed dead from the pipeline explosion. The Commissioner of Police, Anthony Ogbizi, who made the disclosure shortly after he visited the scene of the explosion, said the incident occurred as a result of spillage on the pipeline that was used to pump Premium Motor Spirit from NNPC depot in Aba. “According to information from the NNPC’s depot in Aba, the spillage occurred on a pipeline that was undergoing maintenance. “When we visited the two communities, we were informed that 14 people were reported dead at Umuimo village, while 10 died at Umuduru community. However, National Emergency Management Agency (NEMA) has attributed the pipeline explosion to lack of routine maintenance, contrary to report by Abia State government that it was as a result of vandalism by hoodlums. 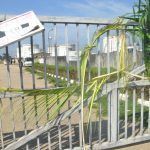 The agency also blamed victims of the disaster for not raising the alarm when they noticed pipeline leakage in the area, but decided to scoop fuel from the ruptured pipeline. According to the official figure of casualties of the incident as released by NEMA Coordinator Imo/Abia Operations office, Evans Ugoh, after visiting the scene disclosed that 60 persons died in the explosion, but could not give figure of victims, who later died at various hospitals. Ugoh added that the NNPC pipeline had ruptured, but needed maintenance before the incident.